A few short weeks prior to his passing, Shannon had been working on new designs for BMEshop. The Art of Suspension, displaying the various styles of suspensions that have been performed, was the last shirt that he had completed. Per Shannon’s request, we would like to use this shirt as a fundraiser in order to raise funds for his daughter, Ari Larratt, who lives with her mother, Rachel Larratt. 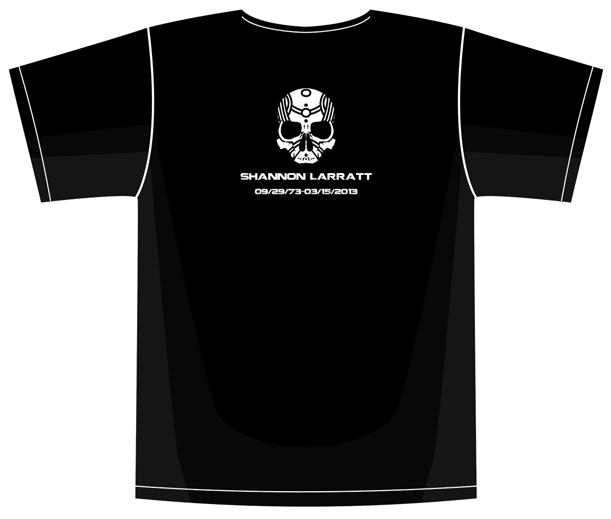 The shirt has Shannon’s design on the front and printed on the back is the Militia logo In Memoriam of Shannon. The shirts start at $20 and there is an option to add a donation amount. The final amount of the shirt you select will display on the top next to the name of the shirt as well as on the left of the donation drop down menu on the shop page. Please note that the shirts will not be able to be printed until after Rachel and Ari return from Canada, which will be around mid April. They will be printed as soon as possible and shipped shortly after that. Thank you. 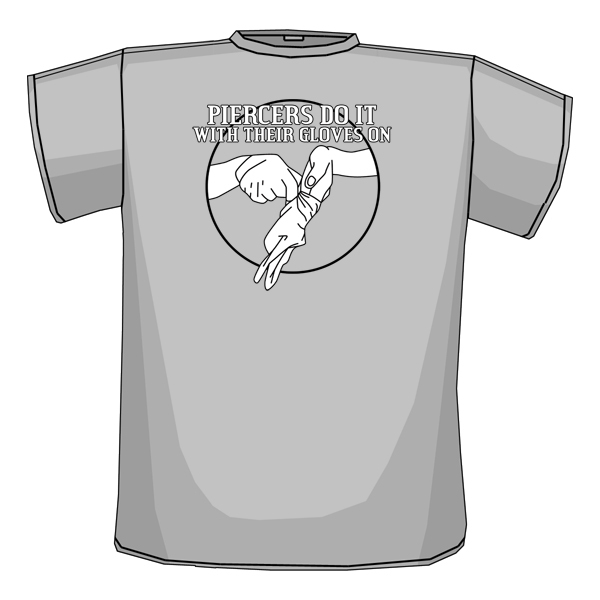 Click here to purchase this shirt. Hey Modbloggers, a member of the BME Family is ill and needs our help. Ari Larratt is living with her mom, Rachel, in the US and has come down with some kind of illness that is making it hard for her body to digest food. As it stands right now, she’s going through a lot of tests to find out what is wrong, and the medical bills are already starting to pile up. Now because Ari is living in the US, everything is coming out of pocket from both Rachel and Shannon. The bills are already approaching $7000 and they still have yet to get a diagnosis. So, to help raise funds for Ari, Shannon has designed a brand-new BME logo shirt. It’s going to be sold in the BMEShop for a limited time, with all proceeds going to Ari’s medical bills. The design itself is basically an updated take of Scott Fox’s original BME logo, mixed with the Calm logo, and incorporates modifications that weren’t around when the designs were originally created. You can order the shirt right here. We’ve set the price of the shirt at $20, with the option to donate more if you wish. 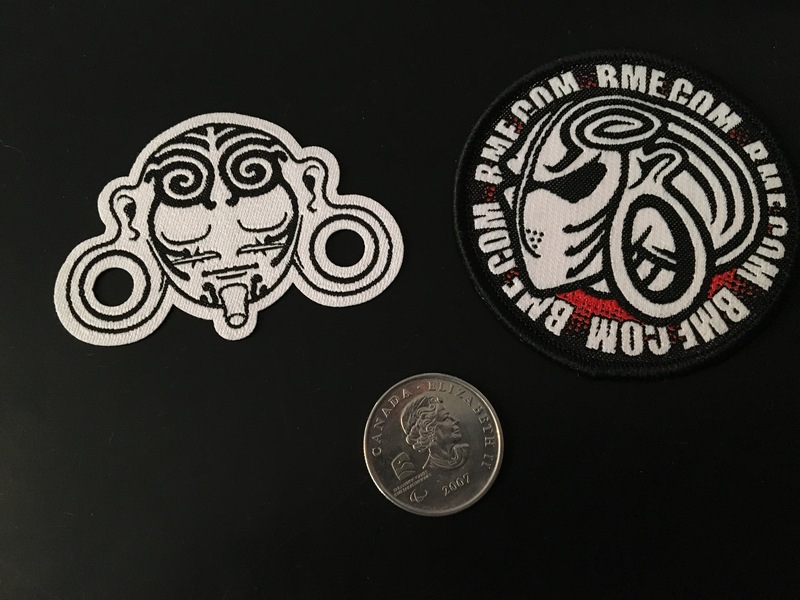 We’ll also be sending along a bunch of BME stickers in addition to your shirt, depending on how much you are able to give. But even if you aren’t able to give any extra, just getting one shirt will go to help a sick little girl get better. Also, if anyone has any information on health insurance plans for children only, please get in contact with Rachel via the BMEShop e-mail address ([email protected]). Her insurance won’t cover Ari, so she’s looking for a plan that is just for children. The free sticker giveaway is over, but don’t let that stop you from filling in your information and checking the “Free Gear” box on your BME account information page. This was just the first in what will soon be regular giveaways, including things like t-shirts! One thing to note: If you did manage to get your posts in before the deadline, make sure that the name you have registered is your real name. Nobody can see this information, however when we go to print out the mailing labels, sending a package to cumguzzler666, 123 Blank Street, Averagetown, NY is a little tricky. Your privacy has always been our number 1 concern, and as I mentioned before, the only time we ever access it is to print off a mailing label if you win something. That’s it. You won’t be getting junk flyers, and we will never sell your information to anybody. If you don’t have a BME account, what are you waiting for? It’s free to sign up, and that instantly gives you more access to the image galleries, and you can win free stuff! Sign up today! It’s been a while since they’ve been in stock, but I’m happy to announce the BME Key Chains are back at the BMEShop! You should grab one today, because these tend to sell out quick. In other shop news, we’ve got a new supplier for the key chains, so if they do go out of stock, it won’t be years before they’re back in again. Also, expect to see the return of the BME Belt Buckles in a few weeks! The BMEShop has another new shirt ready to go. This one was designed by Kenneth Botsford Jr. who some of you may know as IAM:Zeus. This isn’t the first t-shirt design created by a member of the community, and it certainly won’t be the last. So to all those artists out there who have a great idea for a BME shirt, just send an e-mail to [email protected] with your design and your shirt could be the next one printed up. And just because I can, here’s IAM:Gisella_Rose showing off her own medusa, as well as the rest of her. Diablo Organics Jewelry – On Sale Now! That’s right, we’re having another sale on Diablo Organics Ornate Jewelry, this time everything is 20% OFF!!! That means all of the Diablo Organics Ornate Buffalo Horn, Ornate Wood, Feather, and Brass Patina Jewelry is now 20% off! In order to get the discount simply type in the code: 20offdiablo when you go to check out. It’s that simple. Take a look at some of the items on sale now. The sale ends March 22nd, so get yours today! Because you asked for it.. The BMEShop gets requests for items all the time. Sometimes we can fulfill those requests, sometimes we can’t. So when Rachel started getting requests for the jewelry featured in this post last year, she set out to make it happen. Well, it took a bit of time, but the waiting paid off, you can now get these hearts from the BMEShop! We have 2 types of hearts, 18ga bendable niobium hearts, and 14/16ga stainless steel bendable hearts. The niobium ones come in a variety of colours, including Ice Blue, Green, Pink, Yellow, Light Blue, Purple, Dark Blue, Teal, Dream Blue, Rainbow, and High Polish. Here’s the pink one..
And here are a couple more colours. The larger gauge ones only come in stainless steel, as you can see in this picture. So head on over to the BMEShop now to get your own hearts! Oh, and don’t forget to check out the t-shirt section while you’re there. Rachel just added MORE DESIGNS over the weekend, including the ever popular “Always Wear Lube“. Hey Saturday, How You Doin’? Phew! I’m covered in a variety of inks from printing t-shirts all night. I’ve been taking breaks between making mock ups of tshirts, fixing old artwork so that it can be printed again and printing the t-shirts themselves. It’s just been one thing after another but I’m having fun. The only thing I am longing for right now would be a heated workshop! If you hadn’t noticed, here are even more designs added to the shop since the last time Rob posted about it. Can you believe it? No.. Didn’t think so! I was going to add them all here but I figured I’ll just put the link right HERE and you can go and look at the 100+ designs that I’ve added in the last week. Now here is the fun part. I’m losing my second wind and I’m definitely going to crash but I wanted to give myself a little joy before I go to bed (that does not sound like how I meant it to sound..) and the easiest way to do that is to GIVE AWAY FREE STUFF! Yep, that’s right! Make sense to you? It seems pretty clear to me but I”m the one that thought it up. Say two people placed orders on the shop. One was for $21.00 and the other was for $25.00. The first of those two orders, since they’re both over $20, would be the one that got the “surprise pack”. If we had people place orders for $25, $78, $90, $100 and $200, the person who placed their order first between the $78 and $90 dollar order would win the spot for the $75 order while the second person would get the prize for the $50 dollar or since technically they’re above $50 but they weren’t the first person to place the order for the $75 spot. Did that clear things up or is it even more confusing now? Either way, get shopping over on BMEshop and I’ll make it worth your while. The “surprise packs” will definitely NOT disappoint. Did I mention that they will be relative to the number that you win do the higher the dollar amount that you win for, the better the surprise! I love giving stuff away! Hope you all have a great weekend! Piercers do it with their gloves on. 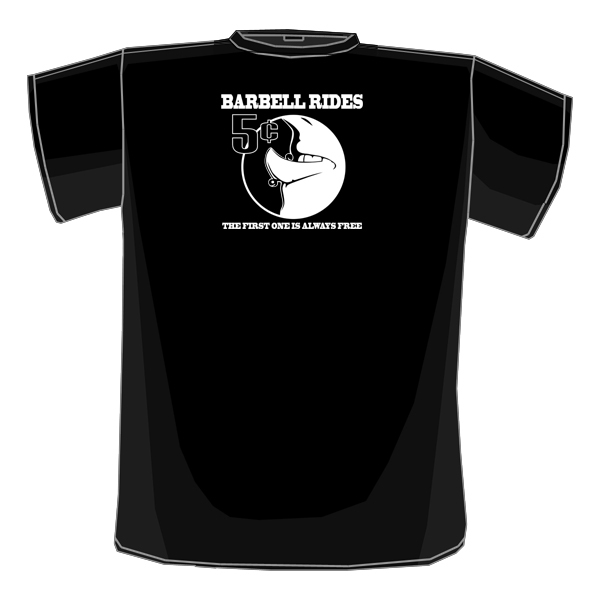 Barbell Rides: The first one is always free.